The Final Stage but who will take the final placing? 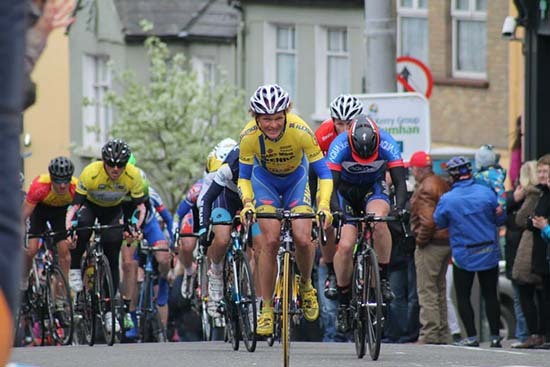 With 385km of racing completed on the first three days of the Kerry Group Ras Mumhan the final placing will, as usual, not be known, until the 10th time the riders climb the famous hill in Killorglin and whoever it is that wins they will certainly deserve every accolade they get. And as in previous years there is every likelihood that the lead will change hands a number of times before the chequered flag drops on the 2017 Kerry Group Ras. 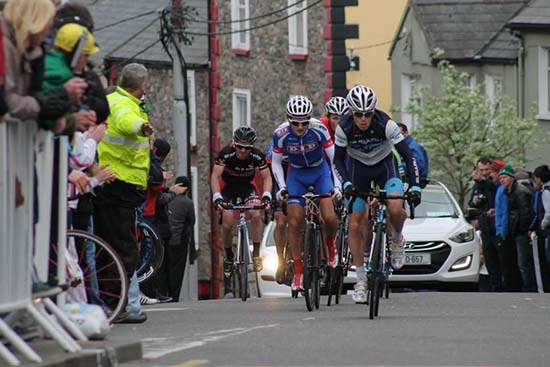 And then it’s onto the Donal McKenna Circuit and if ever a route was made for a cycle race it is this 4 lap circuit that draws huge crowds to Killorglin to see the riders come up the hill 10 times. Once the officials have checked and rechecked the results one rider will be delighted, if a little exhausted, as he lifts the Paddy O’Callaghan Memorial Cup. This was donated to the Kerry Group Ras Mumhan by the legendary Gene Mangan last year. As well as the overall winner jersey there are many other categories that will be as hotly contested and all will be revealed around lunchtime on Easter Monday. And maybe after 500km of racing since Good Friday the riders can indulge in an Easter Egg at the end of the race. However no matter how sweet the egg it will be nothing as sweet as the taste of getting to the end of the Kerry Group Ras Mumhan 2017.